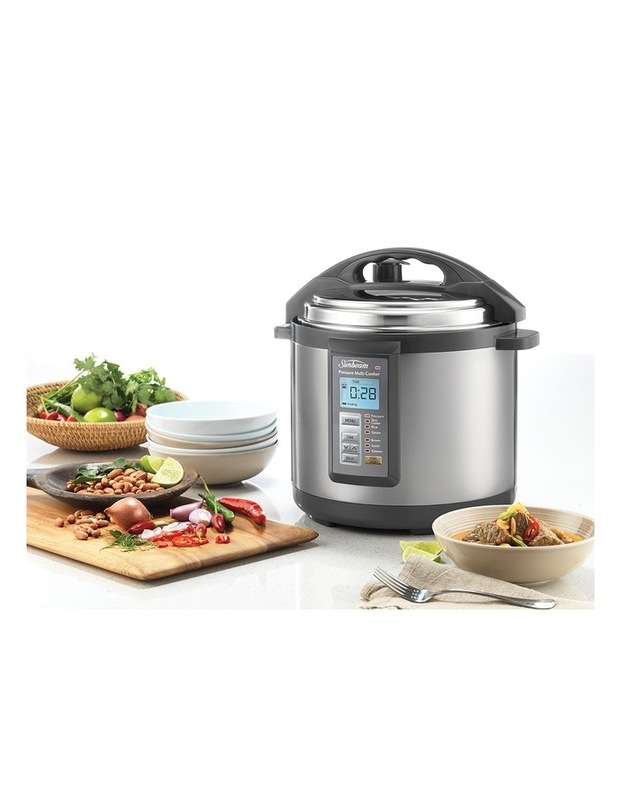 Powerful and fast, this 6 litre pressure cooker offers superior performance no matter what you throw in it. 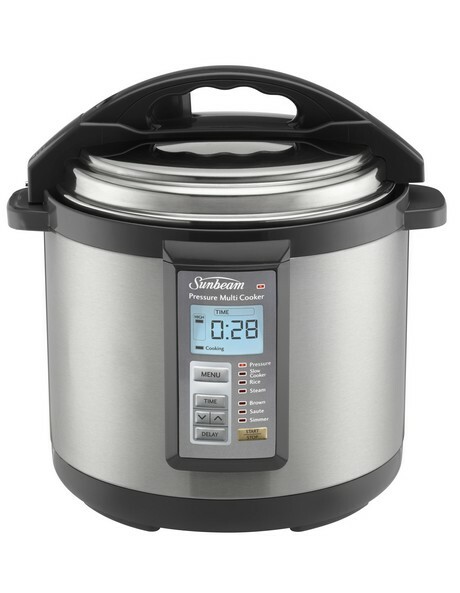 Not only can the Sunbeam PE6100 Aviva Pressure Cooker be used to pressure cook foods, it can also be used as a slow cooker, rice cooker or frying pan. Brown, saute, or simmer just by altering the function. The start of cooking can be delayed except when using the saute, brown and simmer settings. 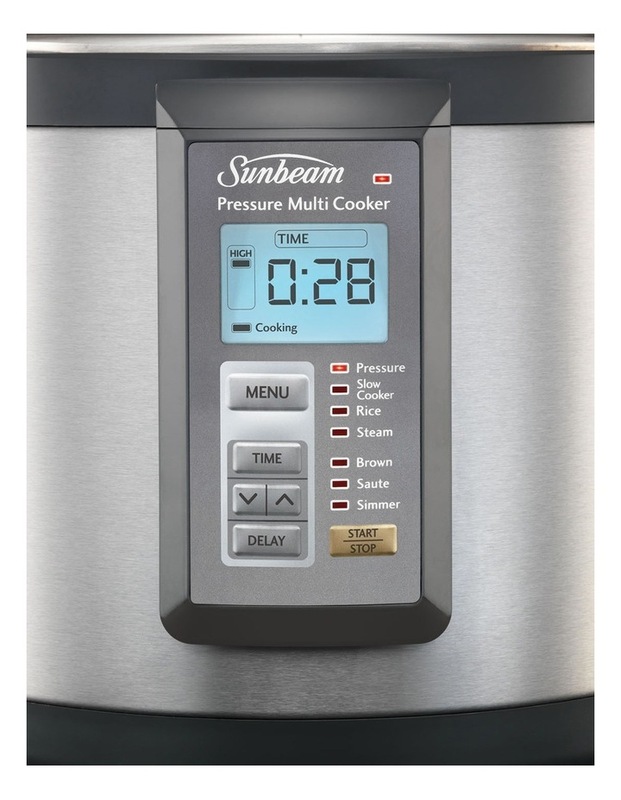 The high, low, auto and keep warm settings enable you cook your food to perfection every time. Use the timer countdown to accurately measure cooking duration and enjoy additional reassurance thanks to the safety pressure lock system. Includes 12 month replacement warranty. - Includes 12 month replacement warranty.